The cavity was revealed by ice-penetrating radar in NASA's Operation IceBridge, an airborne campaign beginning in 2010 that studies connections between the polar regions and the global climate. The researchers also used data from a constellation of Italian and Germanspaceborne synthetic aperture radars. These very high-resolution data can be processed by a technique called radar interferometry to reveal how the ground surface below has moved between images. 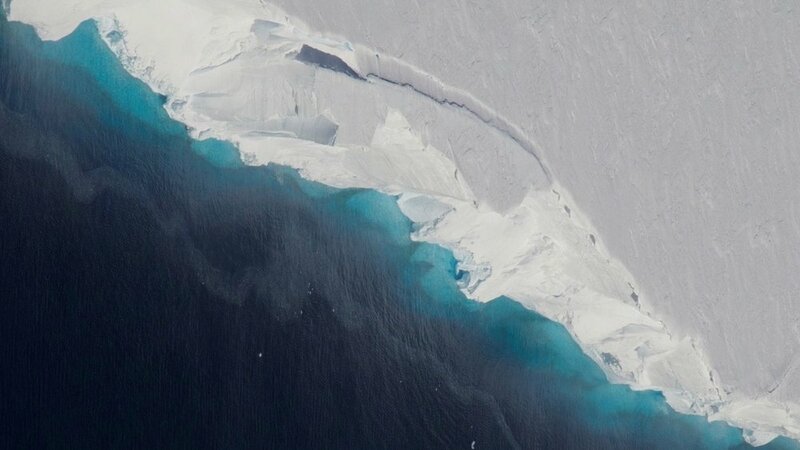 Another changing feature is a glacier's grounding line — the place near the edge of the continent where it lifts off its bed and starts to float on seawater. Many Antarctic glaciers extend for miles beyond their grounding lines, floating out over the open ocean. Older Post Marine life typically thrives in the tropics – so why do whales prefer the poles?